During the 20th century the town’s commercial centre consolidated and many of the earlier buildings were replaced. The Theatre Royal was demolished and the north side of George Street was re-developed, and a new road link was created. The west side of Crane Street became a car park. 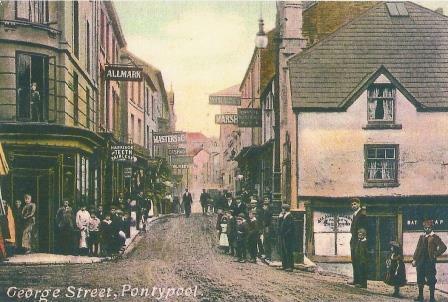 Pontypool saw a brief revival during the First World War, as the mines and ironworks were expanded to assist in the war effort. During the intervening years Pontypool continued to decline. However in 1924 the National Eisteddfod was held in Pontypool, and areas of Pontypool, such as the bridge, were rebuilt. During the Second World War Pontypool like most of the country suffered hardship. Many dance halls and cinemas closed, and many evacuees came into the area, but they did not replace the young men who had enlisted. It was during this time that the Folly Tower was demolished in case German bombers used it as a landmark. Bombs did drop on Pontypool like many areas in Britain and the community raised funds to repair the damage. The whole town celebrated VE (Victory Europe) and VJ (Victory Japan) day with bonfires being lit in the park and street parties in places such as Clarence Street, including live music. After the war Pontypool underwent repairs and over the years many changes were made. 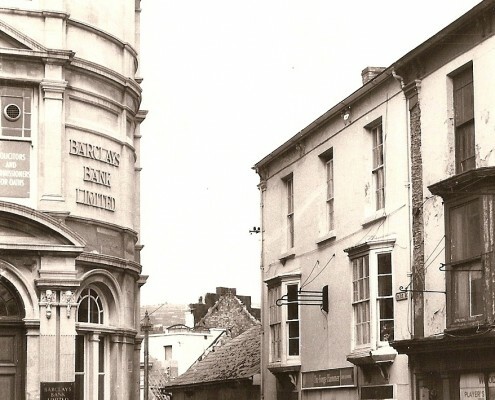 The town centre was widened in the 1960s with the removal of the George Street and the Bristol Beer House. While some areas declined, Crane Street Railway Station was closed for example, Pontypool did continue to meet the needs of its population, a new leisure centre and ski slope was opened in the 1970s. In the 1990s the Folly Tower was rebuilt and in 2013 £2.6 million was secured to regenerate the indoor market. See Regeneration for more details on how Modern Pontypool continues to be regenerated to meet the needs of today’s population. In Pontypool the town centre manager is responsible for the operation of both the indoor market and the weekly outdoor market among other things. The town centre manager seeks to ensure the town centre is safe, clean, accessible and comfortable for all its users. This is achieved by working with all agencies providing services to the town centre aiming to improve standards and evolve better service delivery. For example cleansing, refuse, street maintenance, community safety, car parking and access are current targets. As part of the various regeneration partnerships, The town centre manager also works towards improving the vitality of the town centre by increasing the number of people using and visiting it. Various methods are employed to achieve this including events, advertising, marketing exercises, street markets and using any opportunity to raise the profile of the town centre. A combination of all these activities should provide an opportunity to attract more and better businesses to the town centre, thereby ensuring its future success. Download the Teachers Guide for all Town Centre Management exercises and activities. Activity 1.1. Where is Pontypool? Activity 1.2. 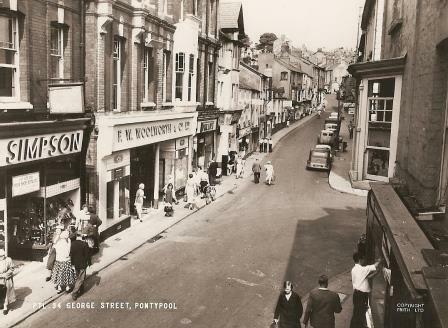 How has Pontypool town centre changed over time?